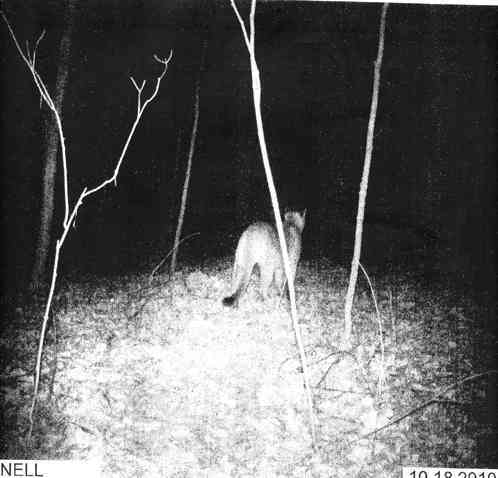 ﻿	Again Trail Cam Proof of Yet Another Cougars in the Minnesota! Yet Another Trail Cam Photo of Cougars in Minnesota! Yet another cougar trail cam photo from Minnesota. Scott Koskela put out his Bushnell trail cam near an alfalfa field on his father property in Becker County East of Wolf Lake. His camera set out to check up on the deer in the area took this picture of a cougar on Oct. 18, 2010 at 6:48 a.m.! Just on the heals of this latest confirmation is another cougar that could be the same one. 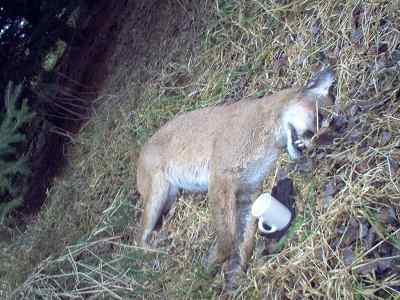 In Pope County which is to the South of Wolf Lake a cougar has been discovered dead. (See pic below) Cause of death has not yet been determined. It was a male.